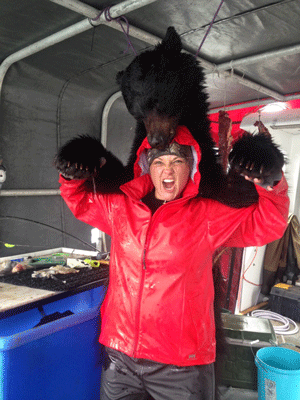 While black bears roam all over lower 48, nothing compares to hunting Alaska black bears! 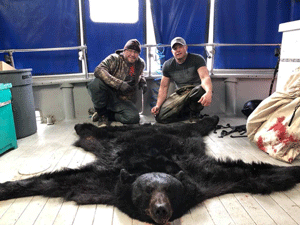 The Last Frontier offers some of the most beautiful, untouched lands with healthy black bear populations- making this an enticing hunt option for hunters from all over. With hunting season around the corner, take a look as these most commonly addressed areas for prepping! Do you wish to keep the meat? Do you wish to keep the hyde? Fishing options differ as well..
Spring hunts are great for hunters looking for both quality meat and quality hides coming out of hibernation. While Alaska black bears may not be at their peak in size, they feed on algae and Spring berries this time of year, which contributes to higher meat quality. 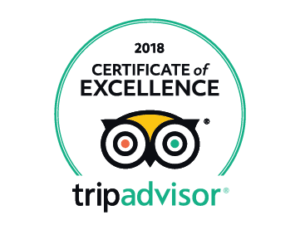 Another reason to hunt Spring is the King Salmon run is at it’s peak! You also have the options for Halibut, Rockfish, and Pacific Cod. 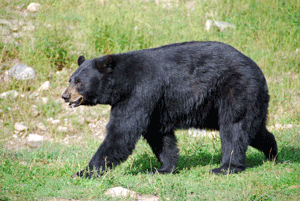 While meat quality will not be as high as Spring black bear meat, Fall black bears hides are more sought after as they are known to be fuller in size due Summer feeding and preparing for Winter hibernation. Not a meat hunter? No problem! Hunters also have the option of donating meat to local communities, as this provides an option to help feed families during the year! Whether to go with a guide or make this a DIY hunt is another common question most hunters struggle with. For starters, both options have their advantages. Guides are able to assist in the field with you, scout for you, and more often than not, offer a guaranteed kill. 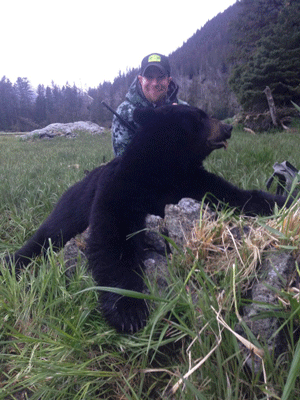 While this seems desirable, DIY Alaska black bear hunts are becoming more and more popular. DIY hunts not only offer you the chance to truly hunt Alaska without area restrictions that guides have, they also allow you the advantage to create your own pace for the stalk without jeopardizing success rates. Secondly, DIY hunts have lower costs associated with them. 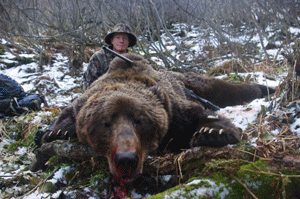 Because DIY hunts are significantly priced less than guided hunts, this allows hunters to take advantage of being able to spend on other factors going into their hunt such as funding the cost to come to Alaska, appropriate gear needed, costs of shipping meat/ hides home and any additional travel expenses that may occur. 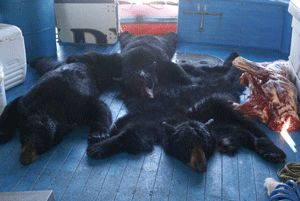 There are two popular methods with hunting Alaska black bears- fly in or boat! Fly-ins are great for those who wish to scout ahead and then dropped off, remotely, with radio communication for pick up. While this is one option, the more preferable option hunters are looking at is being stationed on a boat. 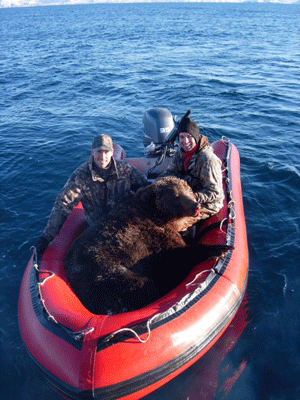 Boat based hunts not only provide the luxury of being remote like fly ins, they provide a barrier of safety. Secondly, boat based hunts provide warm beds, ease of food access and cooking, a dry place to store items not needed in the field- lessening your load, and a place to keep dry during unfavorable weather. Besides, who doesn’t want to hunt Alaska all day and sleep in warmth at night? 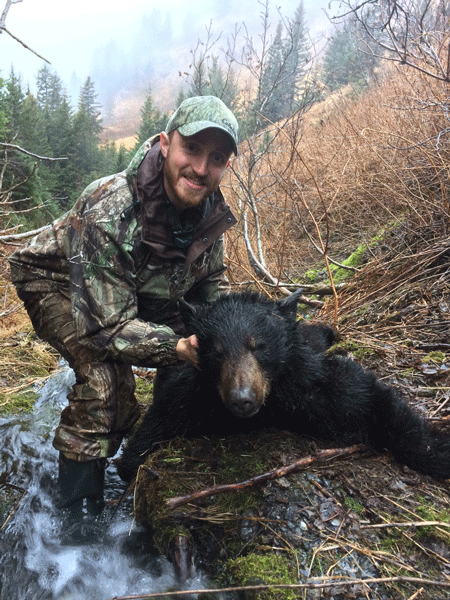 As our season nears us, we hope these commonly asked questions help with deciding which method of hunting Alaska black bears is best for you! Whether you plan to hunt alone or with a group, we welcome you to Alaska and wish you luck on hunting Alaska black bears this upcoming season! 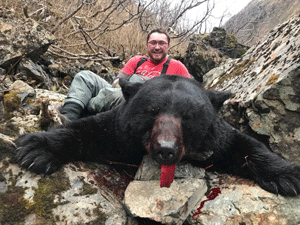 For more information on how to properly prepare for hunting Alaska black bears, contact Alaska Department of Fish and Game here.